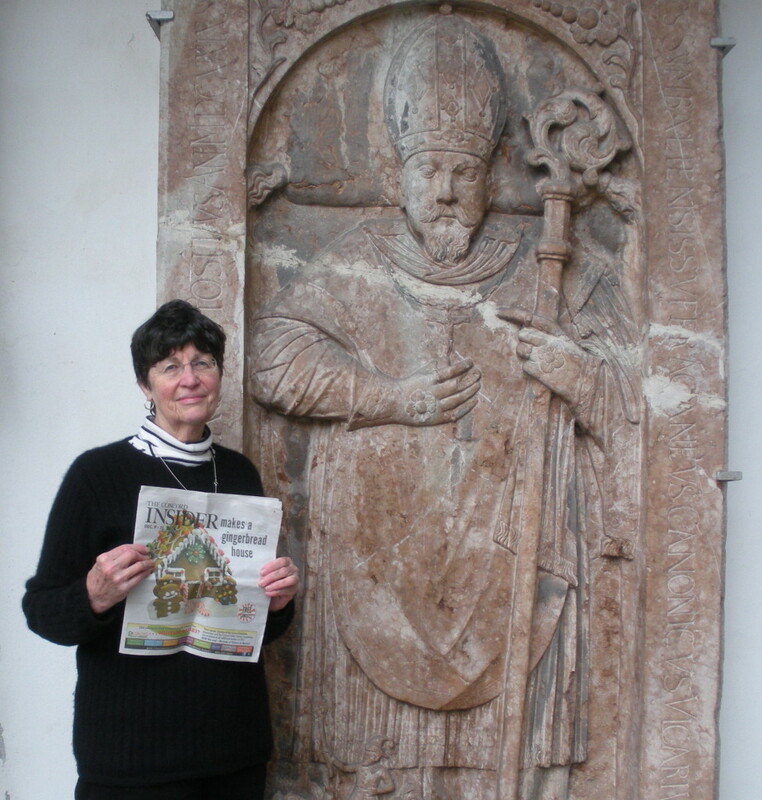 Here we have Maralyn Doyle with the ‘Insider’ at Regensburg Cathedral in Germany during a trip last December. We’ve obviously been moving as slow as that stone bishop guy since it took us four months to throw the picture in the paper. Also, pretty sure he’s napping.